As we enter the Land of Lincoln, I-94 will split from I-80 as we approach the Tri-State. 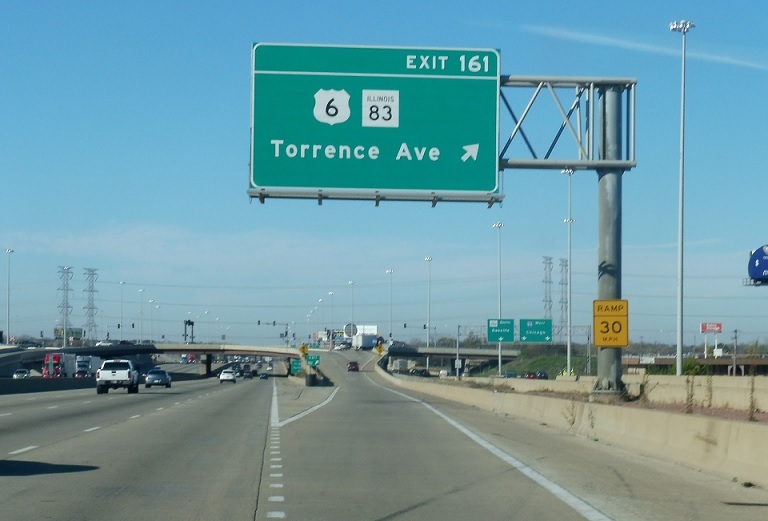 Within the same broader interchange, US 6 will also split from the freeway and join Route 83. 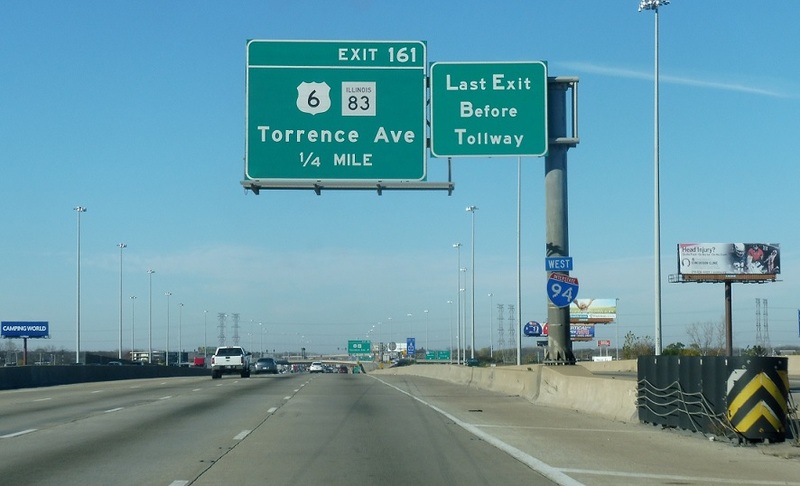 Exit to get in the lanes for I-94/Bishop Ford Expressway and Route 394. 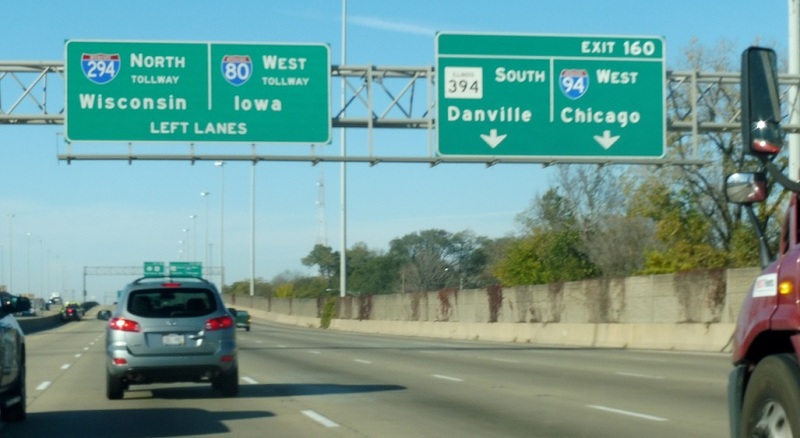 Misleading I-94 shield as US 6 splits. US 6 west joins Illinois 83 north. 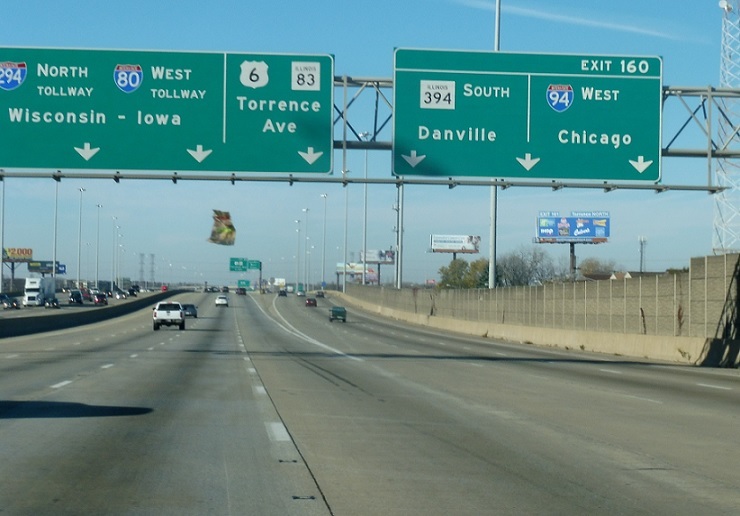 Stay straight for I-80 west and the I-294 Tri-State Tollway.